In 2008, Triumvirate faced a turning point. After growing by $4 million a year for 20 years, the firm was poised to close four crucial deals. Major acquisitions in New England and the Baltimore/Washington area would take the company to a new level. Then, after six months of discussions, Triumvirate’s legacy bank said they couldn’t accommodate the deals on the terms they’d been discussing. 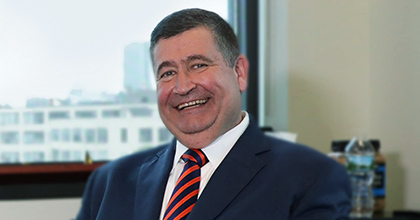 Instead of dealing with the bureaucracy of a hierarchical bank structure, John McQuillan was able to work directly with the decision makers at Webster Bank. The result: responsiveness, efficiency and speed. Triumvirate got approval for all four deals on the original terms—in just one week. Located in 25 cities in Canada and the U.S.